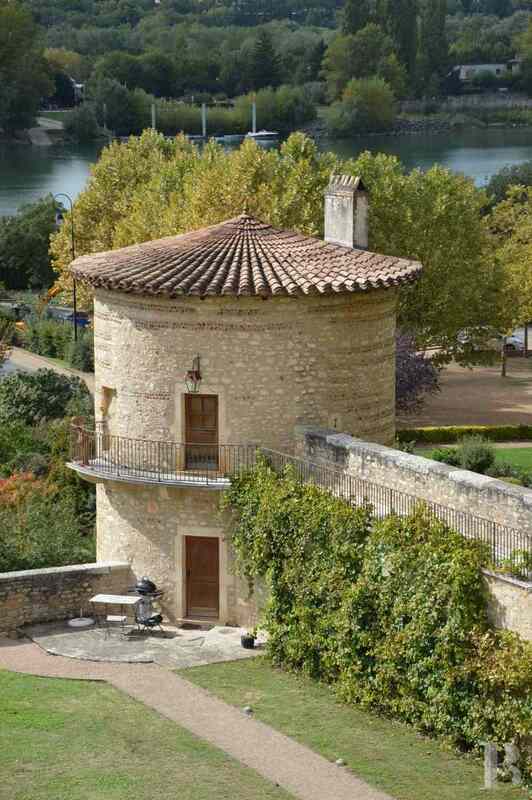 A fortified castle, where a painter of Montmartre’s Bateau-Lavoir lived, and its listed gardens on the meandering Saône north of Lyon - chateaux for sale France - in Provence, Languedoc-Roussillon, Côte d'Azur, Upper-Savoie - Patrice Besse Castles and Mansions of France is a Paris based real-estate agency specialised in the sale of Castles / chateaux. 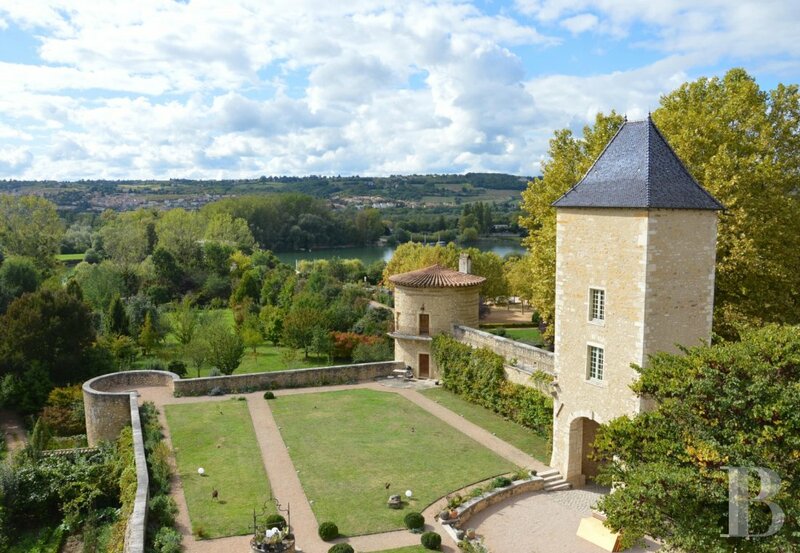 This castle, to the north of Lyon in the Rhône-Alpes region, is set in the midst of a small town, once the site of a huge battle under Julius-Caesar. 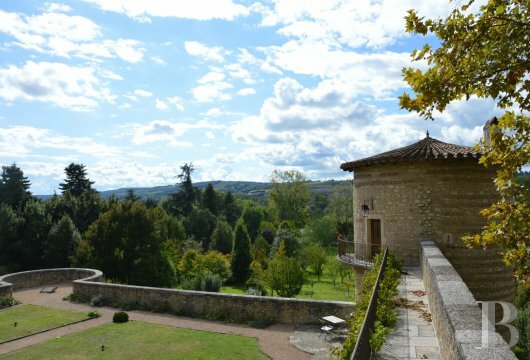 On the outskirts of the Beaujolais region, just five minutes from the “Circuit des Pierres Dorées (golden stones circuit), it is also ideally positioned for exploring the Dombes region with its numerous lakes that form an outstanding bird sanctuary. Half-way between Lyon and Mâcon, their TGV train stations providing 2-hour links to Paris. Saint-Exupéry airport is but 40 minutes away by car. 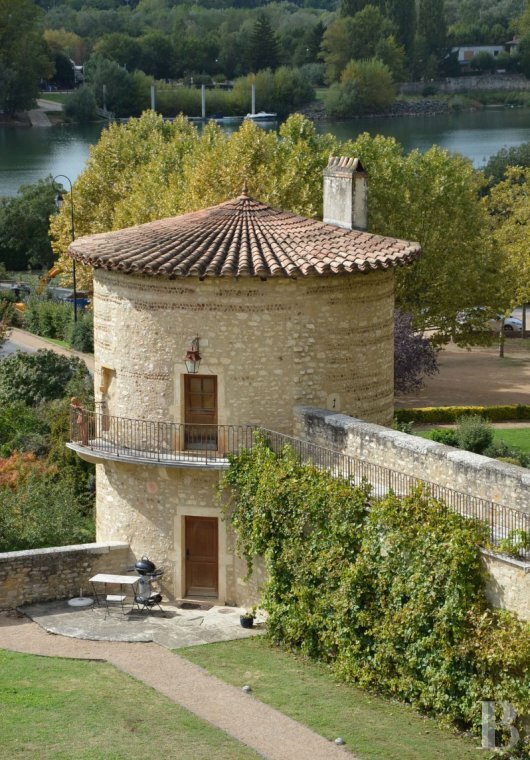 This fortified castle, on the edge of the Saône and in the centre of a little town, was constructed in the 13th century and then redesigned in the 17th century. It later became essentially renowned for having sheltered a very famous painter from Montmartre at the beginning of the 20th century. 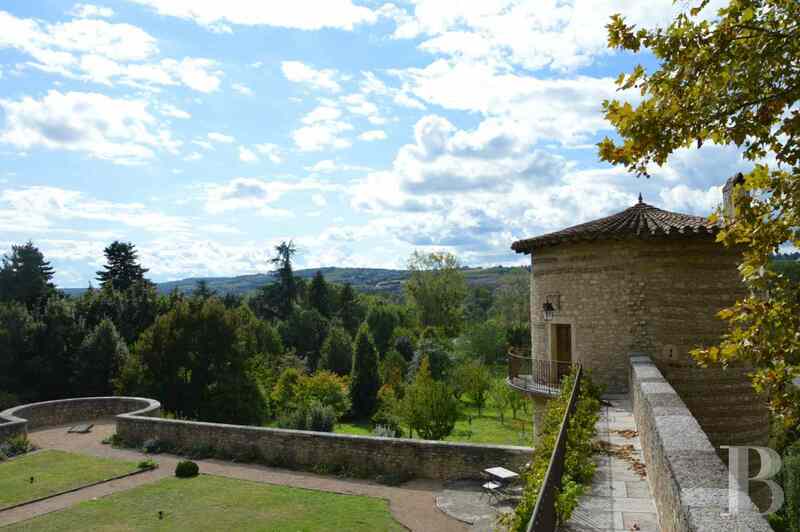 This property extends over about two hectares of land. The medieval style castle takes the form of a rectangular enclosure once flanked, on one of its short sides, by two round corner towers, one of which is no longer in existence. 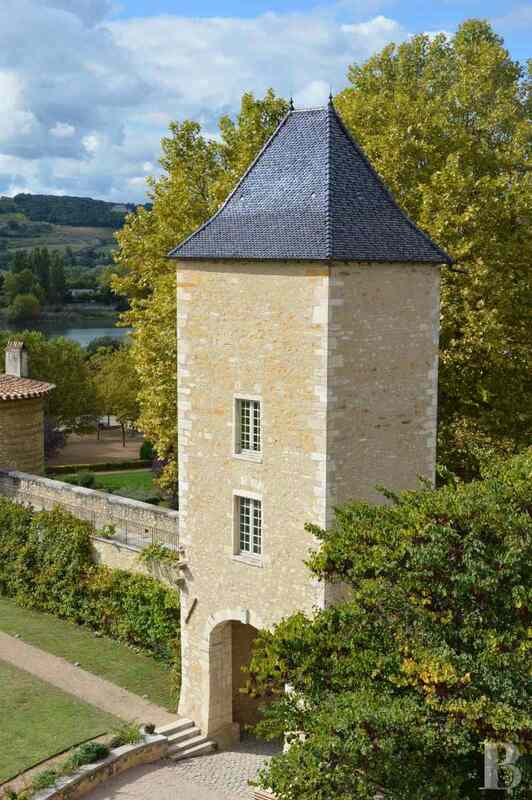 At the other end is a tall residence, crowned with a wall-walk set on corbelling. 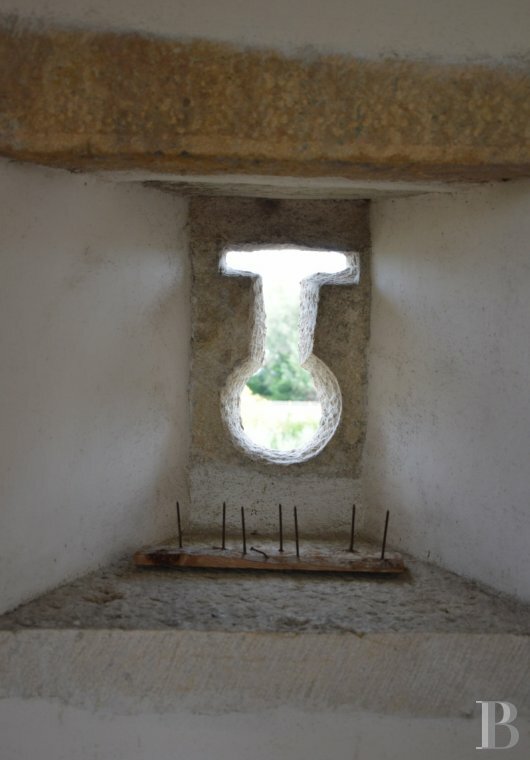 The courtyard is reached via a square tower-gate which opens in the middle of one of the long sides. 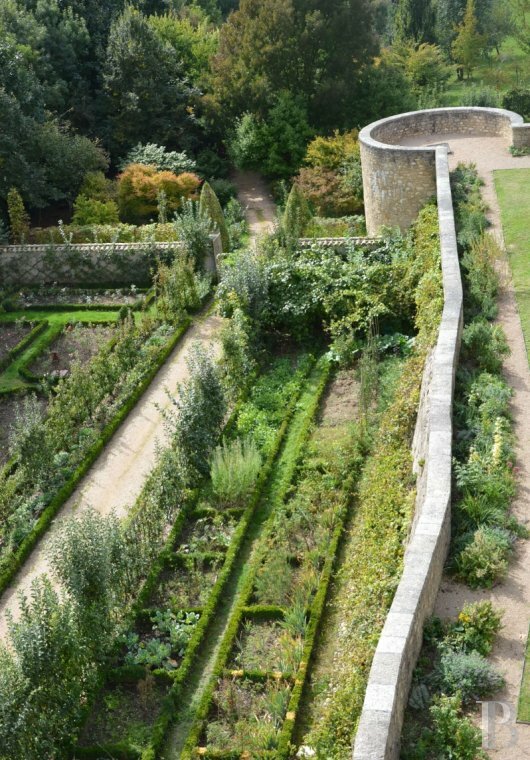 Outstanding gardens extend to the foot of the perimeter walls. 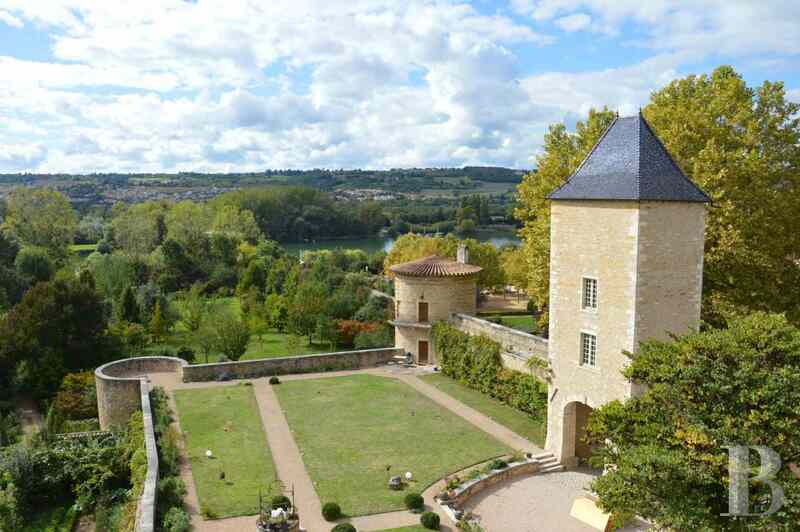 The castle, including the bailey and the site of the old moats, was classified as a French Historic Monument by Order dated 10 April 1997. This tall rectangular stone residence spans four levels, topped with a hip roof. 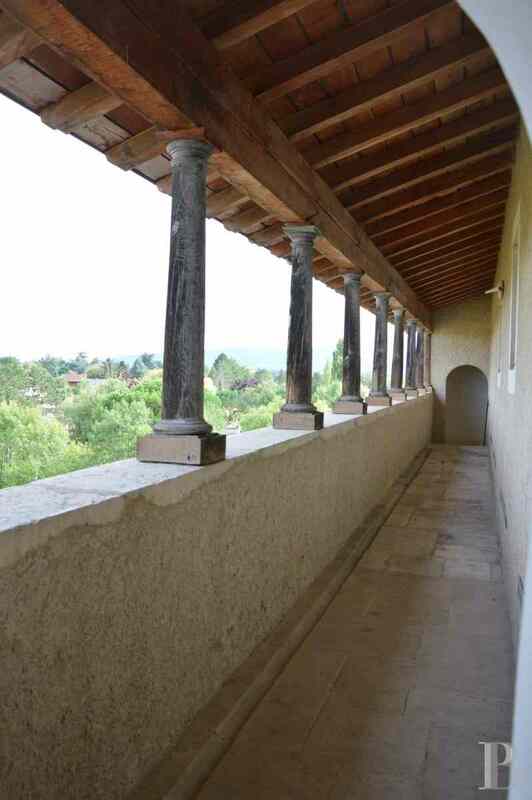 Furthermore, attic space covers the open galleries with their colonnade on a masonry parapet. 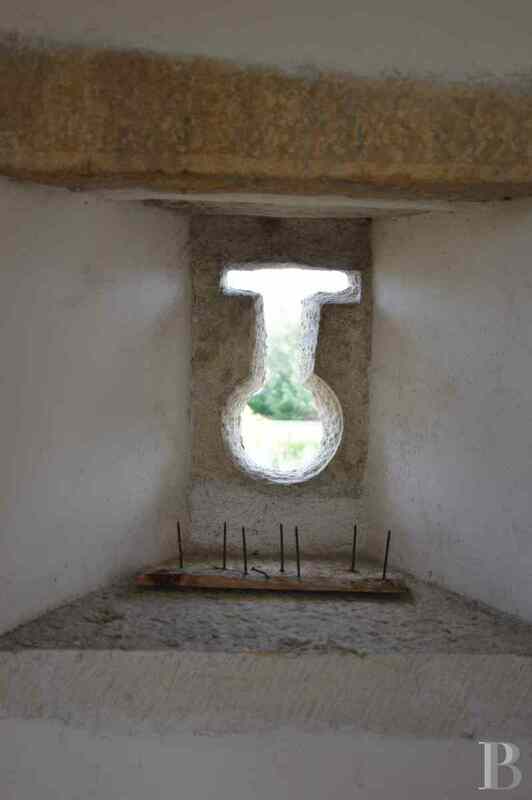 The facades of this medieval building feature mullioned windows as well as a good number of arrow and gun loops. 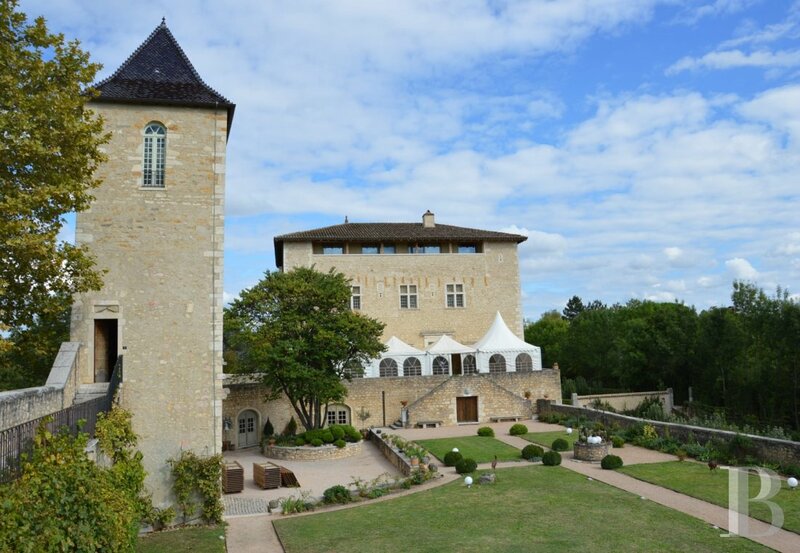 A wide terrace runs along the main facade, continuing as a wall-walk which leads to the square tower and in the direction of the round tower. A double stone stairway leads to the gardens laid out within the curtain wall. 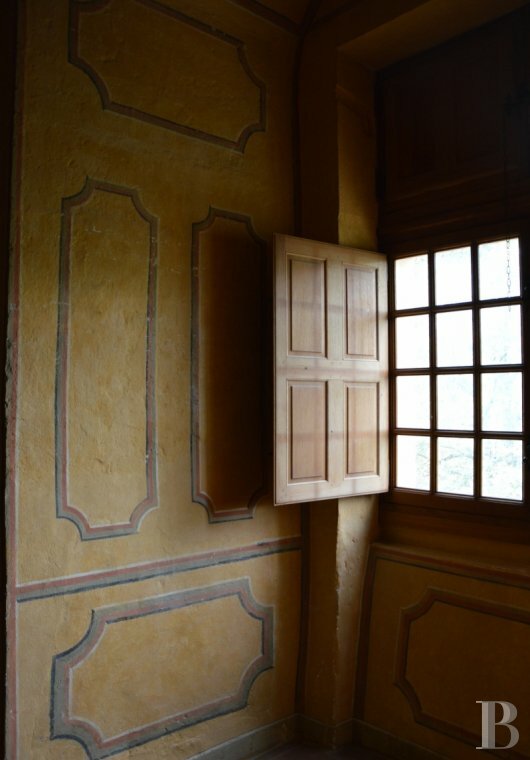 This floor, on a level with the curtain wall, houses a vaulted function room, laid out under the ground floor terrace. It is frequently used for receptions. This area can take up to 200 people. It is completed with a cloakroom as well as toilets and communicates via a few steps with a second, lower function room. This is the former guardroom. The French ceiling goes well with the stone floor. The thick stone walls have few openings. 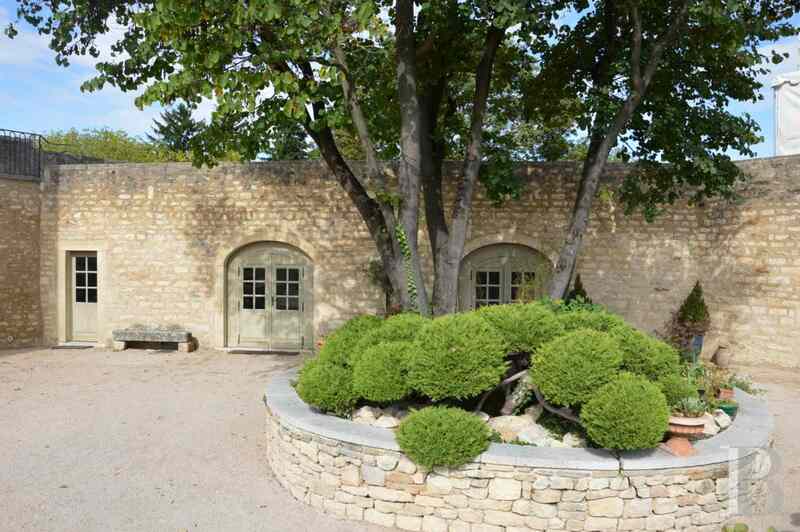 A wide, vaulted porch way provides direct access to the outstanding gardens beyond the perimeter wall. The former guardroom, spanning a floor surface area of approx. 120 m², adjoins a kitchen which, used by caterers, has a door leading directly to the outside and the carparks. This room has a stage and all the wiring necessary for sound equipment. Loud speakers are set in the walls. The raised ground floor is reached via a double stone stairway. A wide terrace covered with a marquee precedes the entrance. This level houses the “aula” or state room. Spanning approx. 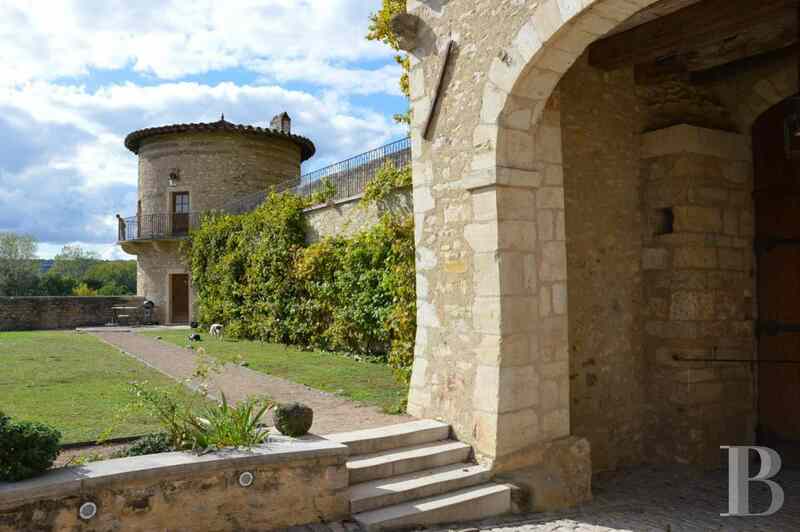 120 m², it is enhanced by a superb medieval fireplace which gives the room great character. A French ceiling looks down on to terracotta floor tiles. This area opens on to the terrace via three large French windows. 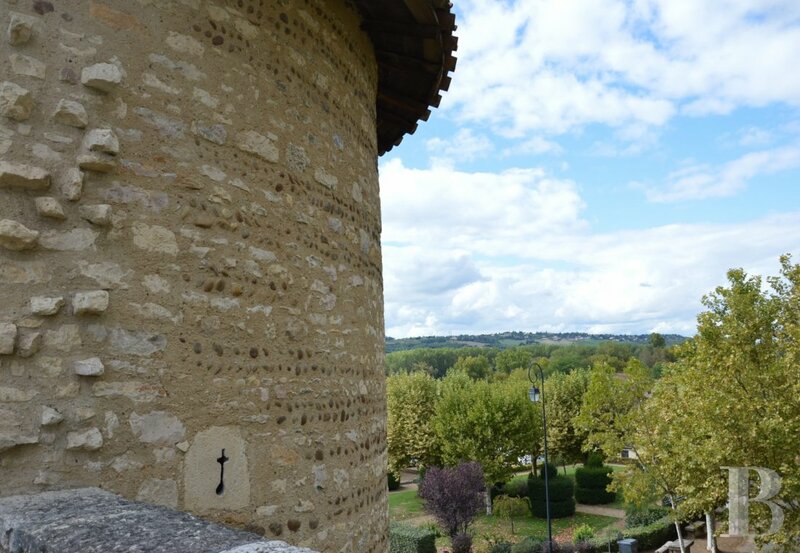 The magnificent view takes in the Beaujolais hills. This room can seat 150 people for a sit-down meal whilst the terrace can take an additional 30 guests. Behind a studded wooden door is a stone stairway covered with a sloping barrel-vaulted ceiling. It leads up to the first and second floors of the castle. They house spacious and comfortable living accommodation. The first floor comprises a reception room, spanning approx. 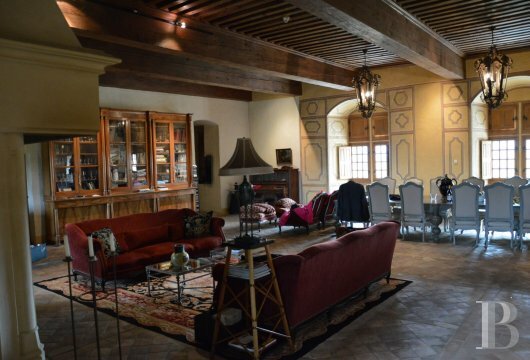 120 m², decorated with a French ceiling and a stone fireplace. Terracotta floor tiles contribute to its muted atmosphere. The adjoining kitchen is fitted with a stone sink and an old-fashioned kitchen range. A large hall area houses a spiral stairway going up to the top floor. This top floor, laid out under the rafters, is given over to bedrooms. The beams are exposed and the floors covered with parquet flooring. A master suite, with two dressing rooms and a bathroom, features a stone fireplace. 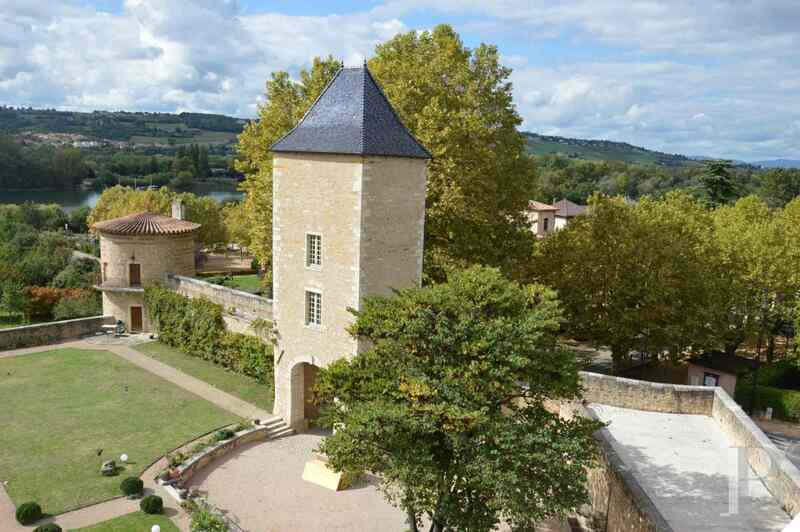 It has wide openings leading on to the external covered gallery facing the Beaujolais hills. Three more bedrooms as well as a bathroom and toilet complete this floor. 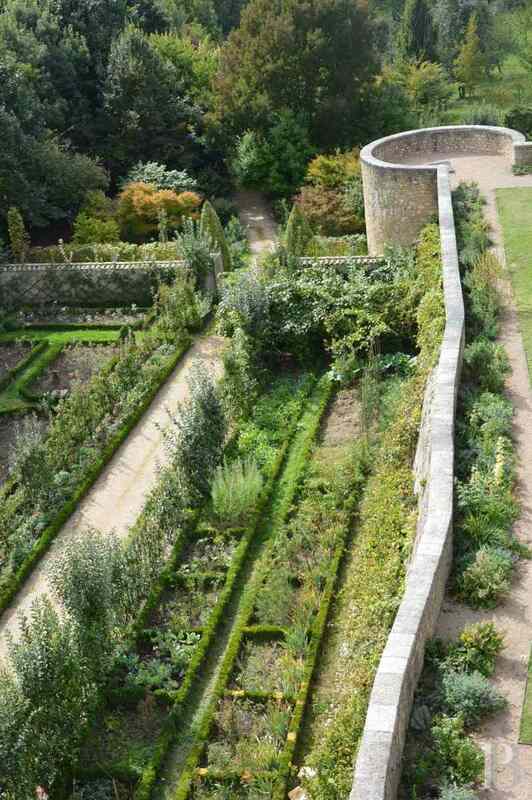 The former wall-walk is an excellent place from which to look out over the surrounding scenery and the gardens at the foot of the castle. This stone building spans four levels. It is topped with a steep, hip roof covered with varnished tiles. 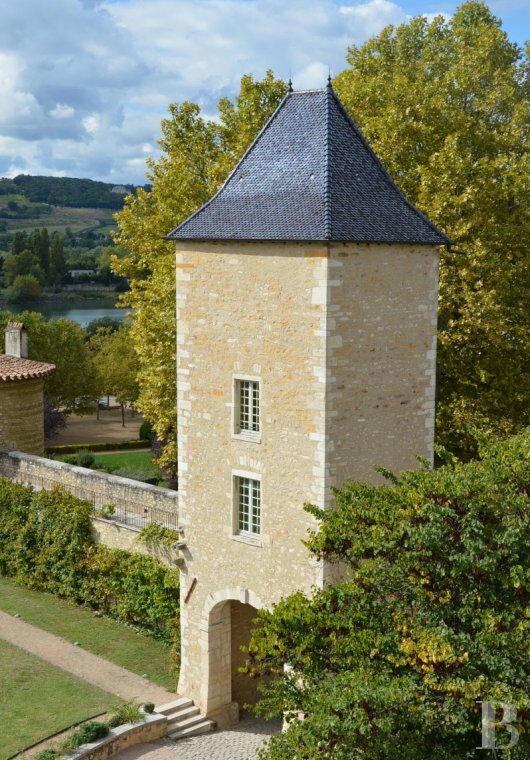 The tower forms a porch way on the garden level with a heavy wooden door that provides access to the curtain wall. The first level can be reached via the old wall-walk and houses a room, spanning approx. 20 m². 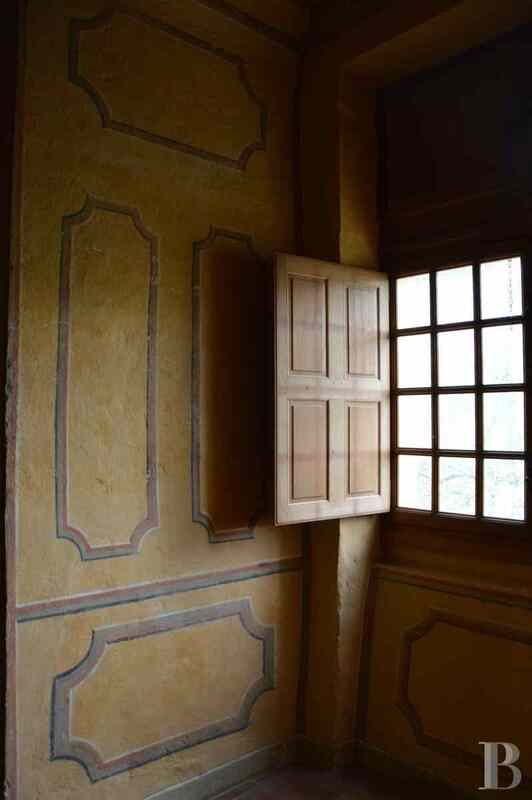 It provides access via an internal stairway to two upper floors, both comprising a similar-sized room. Having gone through the square tower, the wall-walk continues and leads to the first level of the round tower, surrounded by a little balcony. A wooden door opens into a lounge with a fireplace. A stairway leads to a bedroom laid out under the roof. The garden level comprises a kitchen and a dining room. An internal stairway links all the floors in the tower and leads to a shower room and toilet installed in the lower section of the building. 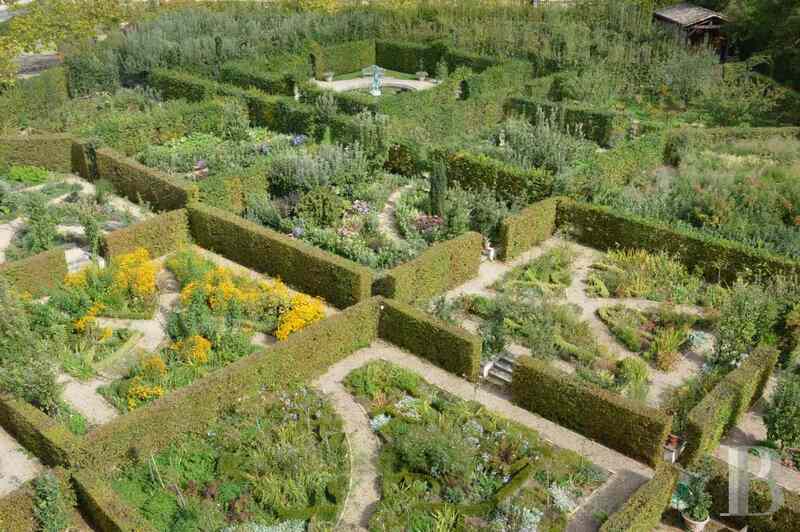 These gardens were created in 2002 and extend over a little more than one and a half hectares. 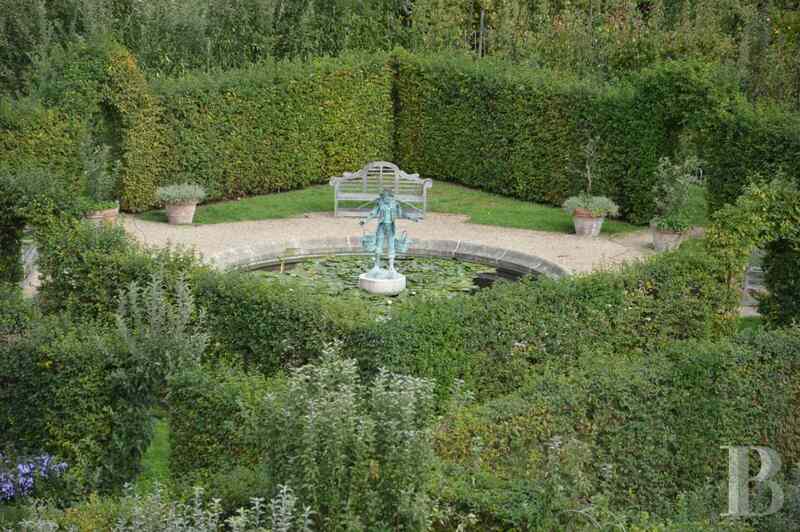 They are divided into three sections which are linked via a common theme, that of old-fashioned fruit-tree pruning. Consequently, the first section is given over to an orchard which comprises a total of more than 600 apple and pear trees with 120 different old and more recent varieties of apple tree and 100 varieties of pear tree. 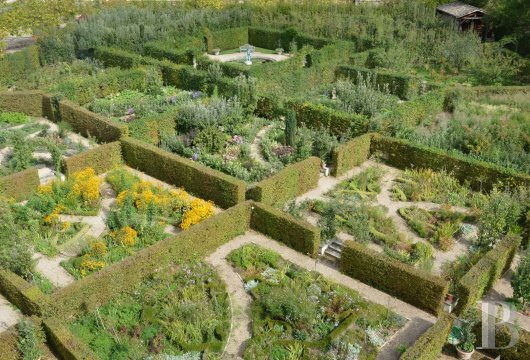 Adjoining the fruit trees is a maze consisting of twelve small themed gardens including the witches’ garden with toxic or black plants, a garden with small fruits, one with different grasses as well as the white and the blue gardens, etc. A rose garden connects this section of the garden to a large contemporary garden planted with bulbs. This is spectacular in the springtime when almost 500,000 daffodils come into bloom. In the autumn, it is the trees that provide a wonderful range of colours as their leaves change at this time of year. 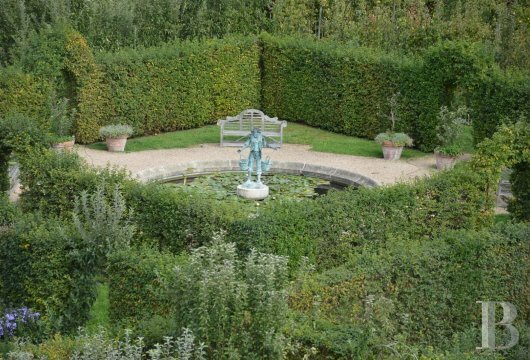 The castle gardens are open to the general public and were voted “Garden of the Year” in 2013. A medieval architectural vocabulary blends with today’s technology. Modern-day home comforts have been added to the wide range of the castle’s assets for holding seminars, weddings and miscellaneous events. The renovation works, carried out in accordance with the good trade practices imposed by the listing, were part of a major, extremely successful project. The capacity of the three large function rooms, the unique atmosphere exuded, the sophistication of the gardens and the authenticity of the interiors create an exceptional work tool as well as a highly desirable living environment.